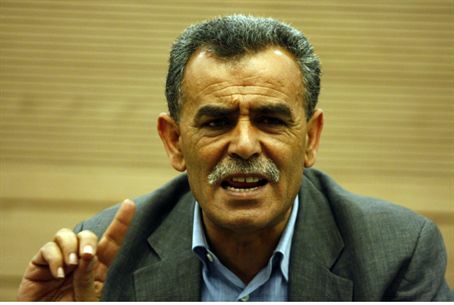 MK Jamal Zahalka says Israeli Arabs who married PA Arabs may move into PA-controlled areas so their families can unite. MK Jamal Zahalka (Balad) expressed his concern on Thursday over a possible large-scale emigration of Israeli Arabs to areas controlled by the Palestinian Authority. The reason for Zahalka’s concern is the implementation of the amendment to the citizenship law, which prevents the unification of Palestinian Authority Arabs with their Israeli Arab spouses. On Wednesday, the Supreme Court rejected a petition against the amendment and ruled that PA Arabs who have Israeli spouses will not be allowed to receive Israeli citizenship. The judges wrote that while they recognize a person’s right to a family, that right need not necessarily be extended to be realized in Israel. In a statement he issued, Zahalka said that Israel is taking advantage of the Court’s decision in order to bring about the emigration of Arab Israeli men, women and children to areas controlled by the PA, on the pretext that the amendment to the law does not allow them to live with their families. The amendment, which was approved in 2003 as a temporary provision, has since been extended several times, the last time being in July. The provision stipulates that the Interior Minister may grant citizenship to an Arab resident of Judea and Samaria only if he is convinced that person recognizes Israel. “Marrying into Israel” is considered to be one system used by hostile Palestinian Authority Arabs to change Israel’s demographics and to infiltrate the country for nefarious purposes. In the past, the Shin Bet said, “family unification” has been used to bring terrorists into Israel, where they carried out attacks.